As we get older, things start to change. Of course, one of those changes is in our vision. When our "old eyes" get the best of us, we have a hard time seeing what may be far away or close by. When eyesight is not the best, it is more difficult for older people to make the determination of whether or not they have a good, clear shot of their target during target practice. Today, we'll take a look the best pistol sights that older people can use, even when their eyesight doesn't hold up as well anymore. In order to choose which pistol sight is best for you and your eyes, you’ll need to consider a few factors. It can take an important feature or two to help you make that final determination in choosing a sight. Most sights have what is known as tritium. This gives your sights that glow factor. Typically, the sights will be green. 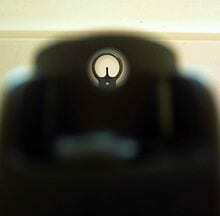 The rear sights will be the same color (like green) while the front sight may be a different color like red or orange. 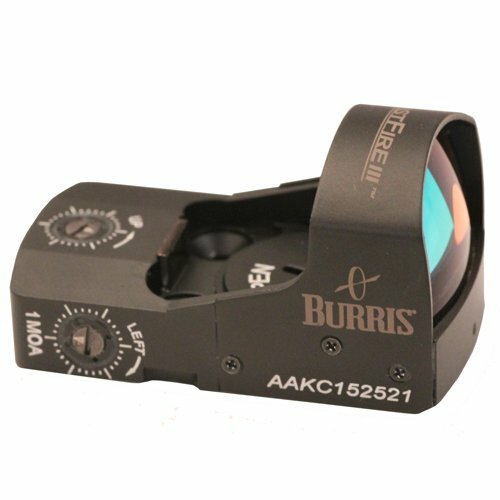 If the front sight is the same color, there may be a ring that will aid in the distinction between the front sight and the back sights. With poor eyesight, sights of the same color may often confuse the user without a proper guide. Having a durable sight is important. A pistol like a Glock has the ability to recoil. If a sight is durable enough, it can withstand recoil for a long time regardless of how many times you use it. Most pistols come with factory-installed iron sights. These are no good for users who have poor eyesight. You'll need to find a sight that can be easy to install in as little time possible. However, some may be professionally installed for a fee. If you are not willing to shell out any extra money for this service, find a sight that is easy to install. Especially one that can be installed in as little as five to ten minutes. Of course, iron sights are factory made. But with a little creativity, you can make them highly visible. One way to do this is by painting the sights. More specifically, using colored paint or nail polish will do the trick. In the event that you decide to paint your sights, use a bright color that you don't often find in nature (i.e.--Orange or bright green). Once upon a time, these types of sights were considered to be a gimmick. But over the years, people have begun to take them quite seriously. 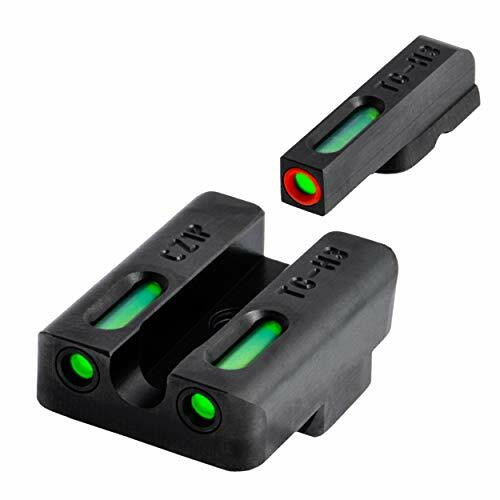 They are definitely helpful when it comes to target shooting, but it may take a little bit of patience and training in order to get your eyes to adapt to the laser sight a little bit. These lasers are visible enough for those with poor eyesight to see. Once you know exactly where your sight is, you'll be able to use it as much as you please. 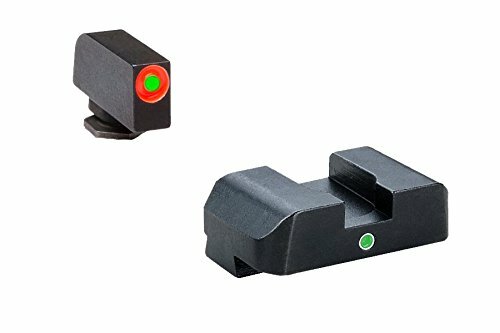 Red dot sights are proven to be faster and more accurate than the other two types. So the red dot sights on your pistol may be a godsend for those with failing eyesight. In order to install these types of sights, you’ll need to have the slide milled. This way, it will be at the proper high to easily attach the sight to your gun. Time to move onto the part that really matters -- the review. Let's get started! 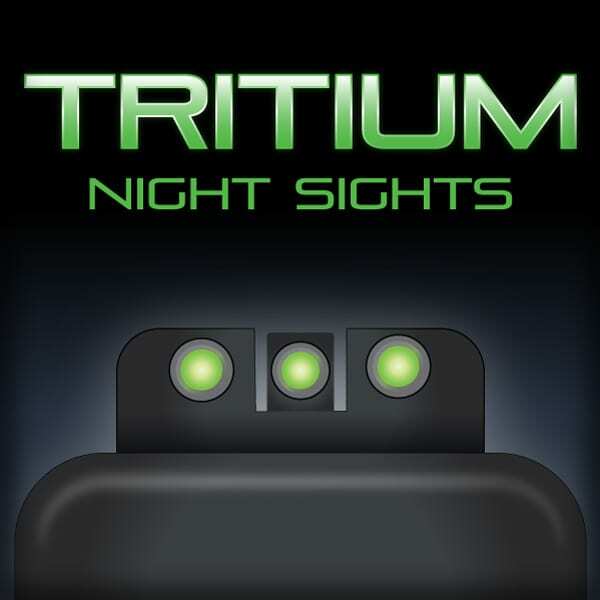 What stands out the most with the Trijicon Night Sight set is the tritium system that is designed to reduce any kind of eye strain. It situates one light in the front scope while the other two dots are situated on the rear frame. This will aid you in bettering your aim, even when your eyesight doesn’t do you any favors. The Trijicon is made from cast aluminum alloy and provides excellent durability and maximum sight protection. Just because it's lightweight, doesn't make it fragile or flimsy. The front sight is an orange dot that is visible regardless of how light or dark it is outside. So it's perfect for use during the day or night. The two dots that are mounted on the rear frame are green dots that are also visible in any light condition. This sight is designed to give you the best aim. At the same time, you don't have to waste your time wondering if it's going to be an accurate shot. Just line them up and take the shot. This sight is perfect for most Glock models and will sustain a lot of recoil. 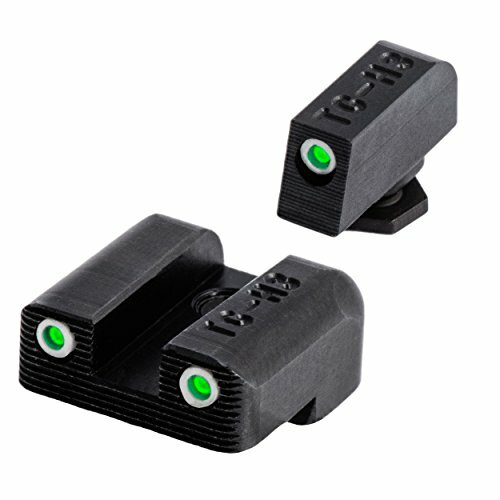 If you want a good sight for those close to medium-range shots, the Trijicon Night Sight might be what you want. Trijicon is typically the brand trusted by most of America’s law enforcement officers and branches of our military. Their sights are known for their durability and are backed by a lifetime warranty if anything goes wrong with their sights. What more can you ask for in a sight? Highly durable. Bright enough for you to get a good aim and so versatile, it can fit any Glock model. If you have a Glock that you don’t want to give up using due to bad eyesight, then you’ll probably need a sight like the Trijicon so you can continue using it. Next up is the Truglo TFX Pro. If you want a double whammy of a night-time capability plus an added bonus of daytime fiber-optics, the Truglo is the sight for you. Some fiber optics in regular sights tend to fall apart. And in turn, your aim will be quite off. The TFX Pro won’t do that. That’s because the sights are encased in CNC steel and have an additional orange ring added on the front sight to make sure that you are able to distinguish the front sight from the rear since they all happen to be the same color. The steel casing is designed to protect the sights from damage from cleaning solvents and weather conditions. Compared to factory sights, the TFX Pro is much easier to see. Once installed, you’ll love how it will stand out. The orange ring on the front sight is very helpful, especially for older gun owners who have a hard time distinguishing the front sight from the rear. The sights tend to work well, especially in a medium-light, indoor setting (i.e.--indoor shooting range). Factory sights will never hold up when it comes to poor eyesight. If you want a sight that is a step up from that, consider the Truglo TFX Pro. While the orange ring may not be as bright as the sights themselves, it’s a very helpful tool to rely on when you have a sight like this. It may need to be a little brighter, but it can still be considered decent enough for older users. If you want a good sight for your pistol that stands head and shoulders over factory installed sights, the TruGlo TFX Pro may be your sight. These sites are also excellent for most Glock pistols. The sights change color according to light conditions. During the day, the sights will turn into a white color. At night, they will be a glowing green. The sights are encased in CNC steel and are protected from damage that can be made by oils, chemicals, cleaning solvents, and even the weather. The sight is guaranteed to be snag resistant, so it will fit in most holsters and won't get caught in your clothes. The sight is easy to install and can be done in as little as ten minutes. If you think this sight needs batteries for it to glow in the dark, think again. Even when exposed to enough light, your sights won’t need batteries. Nor does it need to be charged to ensure that your sight achieves maximum brightness regardless of light conditions. It’s always convenient when a sight glows in the dark. While you may not be able to see anything in pitch black darkness, this sight will come in handy even when there is a slight enough amount of light that will allow you to see a moving target. Since it lights up pretty brightly, it can work well with users with poor eyesight. The Ameriglo Pro is a sight that is designed for the Glock 17 and 19 models. The first thing that stands out is that the orange circle that encompasses the front sight. It allows for easier adjustment and a great outline for even better accuracy. Both the front and rear sights use a green dot. Once you have a green line along the sight, just pull the trigger. To eliminate glare, the sight comes with a ⅙” rear notch that extends to the end of the slide. This sight was designed with the visually impaired in mind. And it’s all thanks to the tritium light that aids them in making sure their aim is straight and on-point with every shot. If your sight can quickly acquire a target, the easier your job will be. For the visually impaired, this does make for a good sight, even for a Glock 16 or 17 model. The AmeriGlo might be a great sight for you if you want the sight to be straightforward and not in a triangular setting like most sights. Our final sight for review is the Burris Fastfire III. This is the only sight out of this list that is the best fitting for a rifle. However, the sight can also be compatible with any shotgun or handgun as well. The scope comes with a tool-free windage and elevation adjustment. This is perfect for those with bad eyesight since they may not be able to read anything on a parallax or turret of a regular scope. For immediate speed and accuracy, the Fastfire III comes equipped with a red dot that will help you find the target quicker. The 8 MOA-sized sight is perfect for shorter distances, while the 3 MOA is used for rifles or looking for a more precise aiming point. The battery is located at the top of the sight. If the battery runs low, you will be notified by the low battery indicator. This sight also comes equipped with a power button that will allow you to adjust between three levels of brightness. This also includes an auto-brightness setting. This sight is good regardless of whatever gun you use. And the red dot does help, even if you have bad eyesight. Another thing that stands out is that you don’t need to make any adjustments for windage and elevation. Even with bad eyes, it would be hard to see what settings you need to have in order for the shot to look perfect. Of course, we’re talking about a traditional scope. The FastFire takes the guesswork out of that. If you want a sight that goes well with any gun and is convenient for your eyesight, go with the FastFire III. Finding a pistol sight for your old eyes doesn’t have to be a challenge. Before making a choice, consider your personal needs and factors that may lead to your final decision. 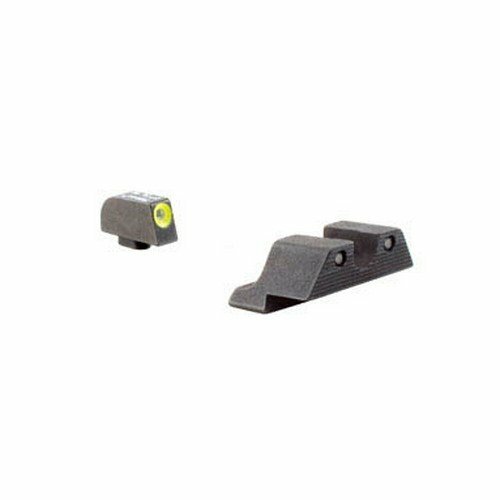 Whether you are target hunting or using it for home defense, you need a sight that can get the job done, even when your eyes are not clear enough for an iron sight.